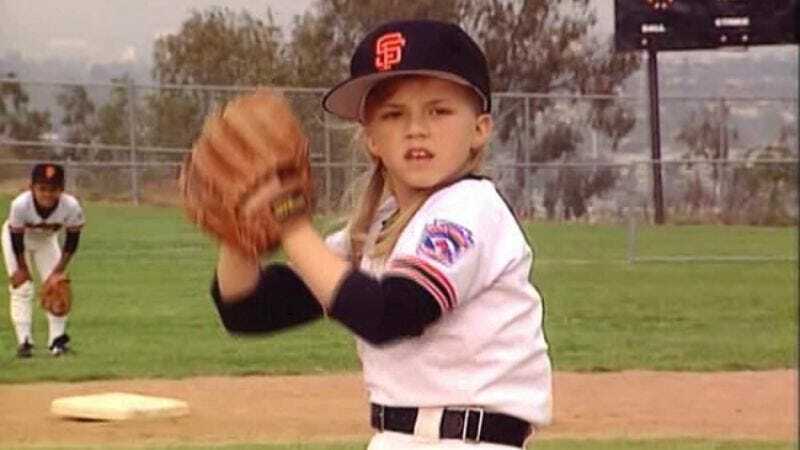 Stephanie Tanner (Jodie Sweetin) seems to have forgotten herself while at a baseball game recently—everyone’s (but dad Danny’s) favorite middle child disrupted the final game in the series between the San Francisco Giants and the Los Angeles Dodgers. The cast of Fuller House was shooting a baseball scene at AT&T Park for the upcoming partial-TGIF revival that involved the actress taking the field during the seventh-inning stretch. An observant fan made a video and posted it to Instagram (naturally). Anderson had reportedly pitched seven scoreless innings until then, but gave up two runs after taking the mound following Sweetin’s performance. Anderson didn’t outright blame the actress for the two runs, but when he was asked if he was a fan of Full House, he said “I was, but I never watched it while I was pitching.” Um, have mercy, Anderson? After all, Sweetin is actually a Dodgers fan, no matter what Little League team her character might have played for.